The leading timeshare resale and rental advertising company announces its most popular rental resorts. Timeshare rental accommodation is becoming more of a sought-after product as consumers discover the major advantages to renting a timeshare holiday apartment compared to a regular hotel room. Merrimack, NH (PRWEB) May 14, 2013- Timeshare resale and rental advertising leader BuyaTimeshare.com has released its Top 10 List of the most popular resorts advertised on its industry-leading online platform. The list was compiled by the number of rental offers placed by consumers looking for timeshare rental accommodation available through the http://buyatimeshare.com website. Aruba resorts dominate the list, taking four of the top 10 spots. International resorts take five of the 10 positions, with the usual U.S. destinations of Orlando, Hawaii and Las Vegas also appearing on the list. ORANJESTAD: Aruba Airport Authority N.V. (AAA) is very happy to announce to all aviation fans and users that it has launched its brand new website www.airportaruba.com! This new website has a completely new look and feel and matches all the recent renovations and expansions at the airport. The new website is very easy for travelers to use and information can be found fast without having to go through the whole website. "We have a number of major changes underway here at Bucuti and lots of good news to share with our valued guests. First and foremost, the time has come for us to replace the iconic galleon-shaped Pirate's Nest restaurant on our beach with a spectacular contemporary facility that will be called Elements. We have recently received the necessary permits to proceed with this upgrade and have finalized an agreement on the timeline with the contractor. The project will take place between May 13 and August 11, 2013 and will entail three phases described below. The project will begin with the demolition of the ship and the excavation of the foundation for the new structure. As this phase will involve substantial noise and equipment, we have decided that it is in the best interest of our guests to close out the entire resort during this three week period. This time period entails the assembly of prefabricated elements of the structure within a fenced enclosure, which will be much less disruptive than Phase 1. We are familiar with this method of construction as it is the same as the one we utilized for the Tara extension and our new Fitness Center in our garden these past couple of months. To minimize any disruption, work will take place between 9:30 am and 6:00 pm. Since our beachfront restaurant will not yet be complete, we will be serving breakfast, lunch and dinner in our Tara Lounge. The renowned Carte Blanche Restaurant with its' Chef's Table concept will also be open and accepting dinner reservations five nights a week. ARUBA May 7th, 2013- Soothing, relaxing, connecting with nature…these are some of the attributes many find in the activity of bird watching. It’s a growing hobby worldwide, and here in Aruba with some 236 registered species of birds locals and visitors to our island are captivated with “birding” opportunities. Aruba’s semi-arid climate, diverse flora and fauna, and unique landscapes of beaches, reefs, mangroves, marshes, rolling countryside, and lushly landscaped resorts are havens for species that take up permanent residence, as well as those species just passing through for rest and refueling before journeying on to North or South America. 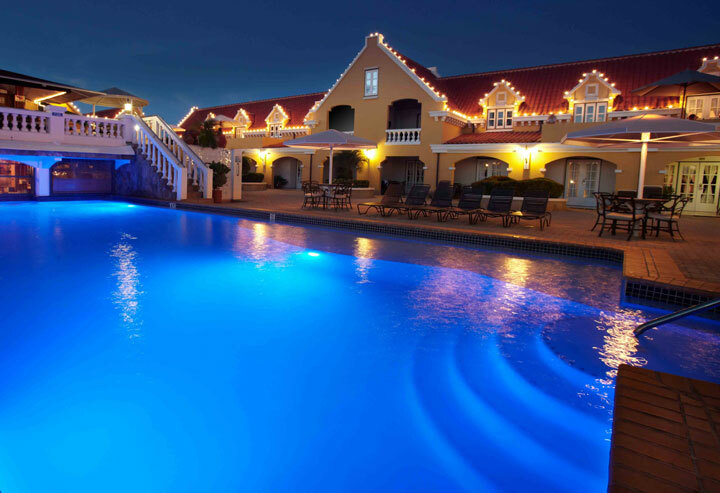 Amsterdam Manor Beach Resort is Aruba’s first property to achieve EarthCheck’s highest accolade of Platinum Certification for its 10 year commitment to implementing world-class sustainability initiatives. In recognition of Amsterdam Manor Beach Resort’s outstanding achievement, Jurgen van Schaijk, Managing Director of the resort, was presented with a Platinum Plaque at an awards ceremony held at the property in Aruba. EarthCheck Certified, a program delivered by EC3 Global, is the world’s leading environmental Benchmarking and Certification program for the travel and tourism sector. ARUBA May 8th, 2013– Planning a vacation usually includes a thorough check of the travel requirements such as flight, lodgings, passport, maybe a needed visa or preventive shots, etc. Something easily overlooked and forgotten is to make preparations for needed prescription medication, with the risk of turning the vacation into a nightmare. Prior to departure a few steps can be taken to eliminate future problems. First, ask your physician to provide a letter describing your specific health condition and related use of medication. In case of emergency this information can be very useful to a physician at destination and, if applicable, this letter can support your claim at customs your need to bring drugs in or out of the country. Secondly, ask your pharmacist to provide a copy of your last filled prescription and a list stating the brand name(s) of the drug(s), along with the generic description.